Elephant fountain pen stand, small pocket watch and red die found behind wall safe beside Al's office at the Lexington. Al Capone was certainly a man of particular tastes and possibly certain superstitions as was found by my friend Bill Helmer and two other friends who went in the Lexington years before the call was made to destroy the famous/ Infamous Capone hangout. Before reaching Capone's inner sanctum, there stood an old massive wall safe in the hallway next to Capone's office suite. The three Capone archaeologists went to work on prying the massive safe from the wall with a large pipe. 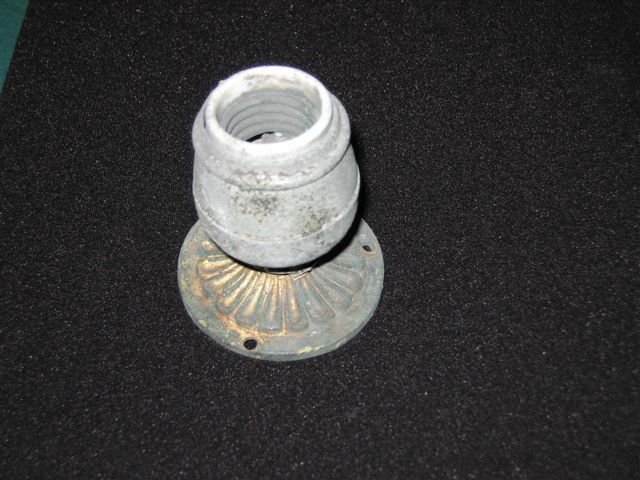 Upon doing so, several interesting items were found lodged in between the safe and wall. Capone was well known to admire the symbol of the elephant especially with it's trunk in the air. He owned several collections. 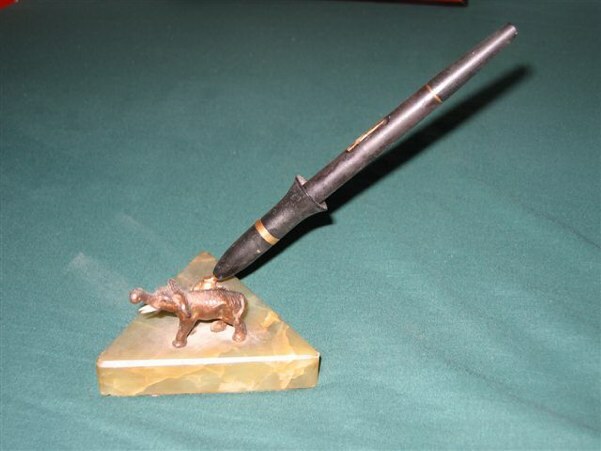 Amazingly an elephant fountain pen holder, with a trunk in the air was found. From Leslie Hindman's catalog of Capone auction 1992. Elephant ink fountain pen found behind safe beside Capone's office. John Kobler's description of Capone's elephants and field glasses. Are these the field glasses described above? 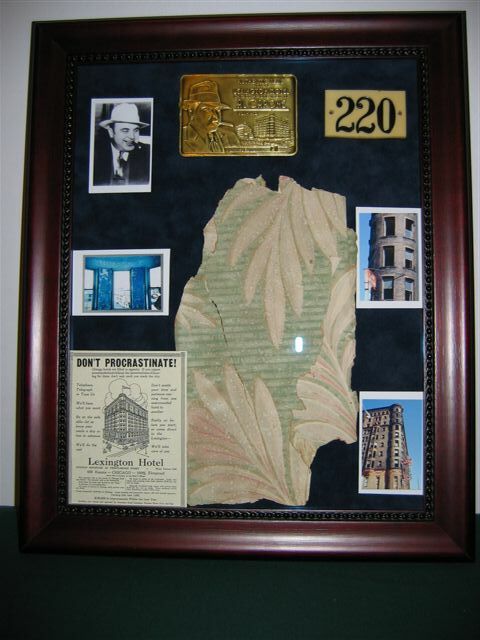 Along with the above items these 1920's Biascopes were found by William J. Helmer behind the safe right beside Capone's office at the Lexington Hotel in 1995, before it's destruction. The heavy massive safe was encased in the wall with a small opening above it. Helmer and friends tried to pry the safe from the wall using a lead pipe as leverage. 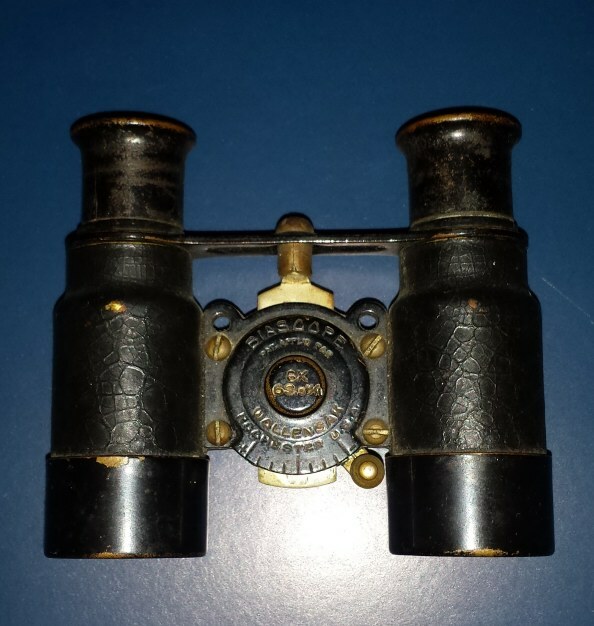 They managed to move the safe just enough to find these binoculars along with other items behind the safe. 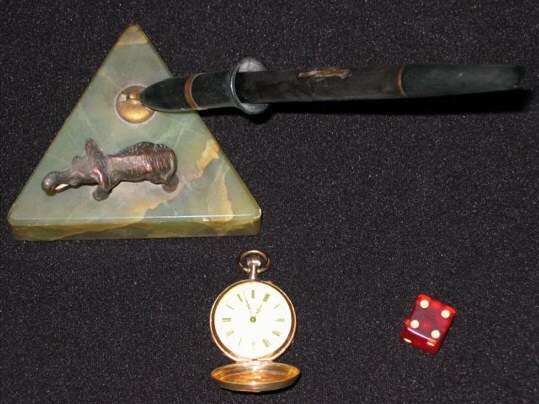 These items once sat on top of the safe in Capone's office and may have fallen or been knocked over by the cleaning lady or stashed by someone for later retrieval. 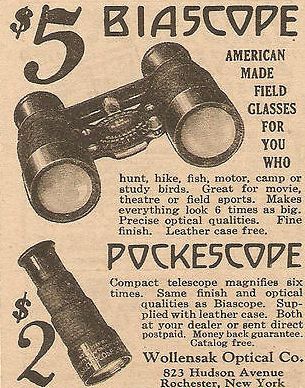 These items date from Capone's time there as these bioscope field glasses were in production from 1923 to 1933. Author John Kobler mentions Capone having field glasses on his desk in his book about Capone. 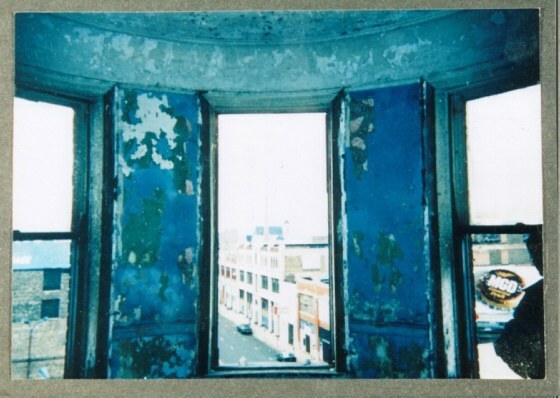 Cornelius Vanderbilt Jr., who interviewed Capone for Liberty magazine had stated that Capone used field glasses to look out the Lexington office window. In my opinion this smaller pair would have been more than likely used while attending the opera or some sporting event. Al Capone did attend the opera and go to the racetrack, boxing matches etc.... Mae Capone also had a pair of her own opera glasses. See MAE CAPONE. Al also had several religious medals during the course of his lifetime. These were almost surely supplied to him by his very religious mother Theresa, who always visited St. Columbanus church. I guess it may have been her way of watching over her son and somehow redeem his soul for the obvious life he lead. She bestowed many while he was in and out of prison. 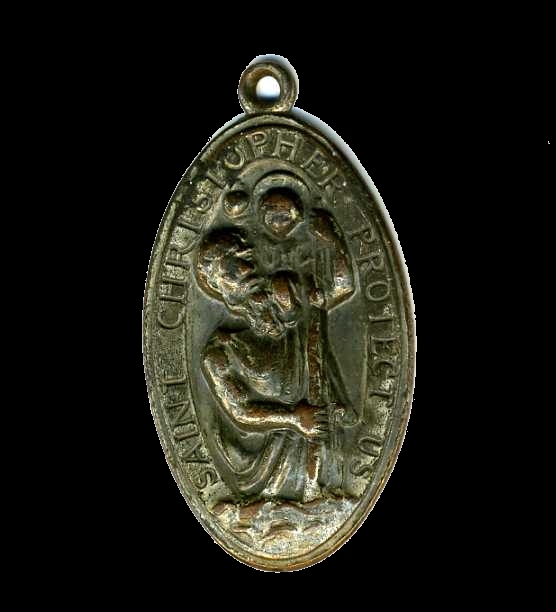 Oddly the other item found behind the safe with the elephant was a St. Christopher's medal. 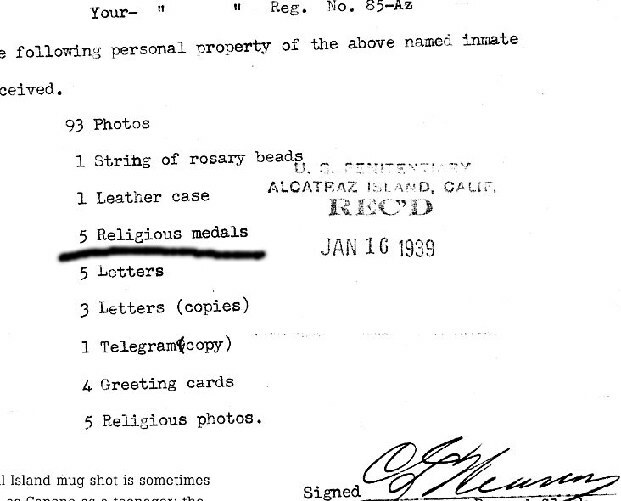 Al had many in Atlanta and Alcatraz as was documented. Other items found were a gold pocket watch and a red die (dice). Elephants, St. Christopher, all associated with Al Capone, but could these items have been placed there on orders of Al as some sign of good luck superstition upon him moving into the Lexington in 1928? Or was someone in his entourage, or possibly a cleaning lady wise enough to ferret away for later retrieval or accidently knock over these items behind the safe ? This may have been done at the time when Al was all over the newspapers or during the time of his trial and prison sentence for income taxes. All great possiblilities. Red translucent die found behind wall safe. 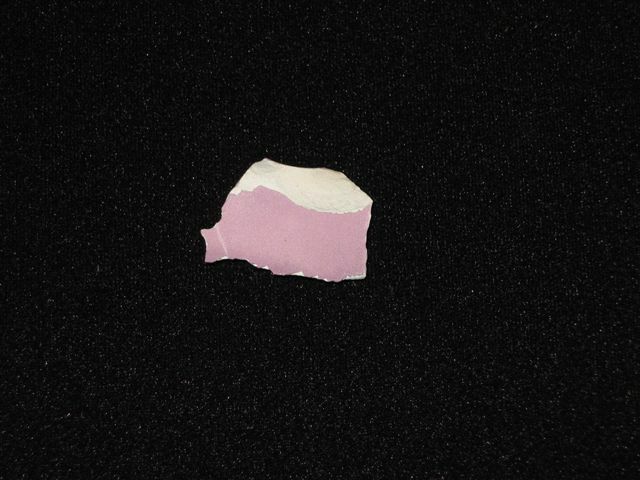 Pink wall stucco fragment showed Al's taste in decor. This may have faded and might been a brighter reddish pink back in the late twenties. Chip from his famous lavender bathtub in his private suite. 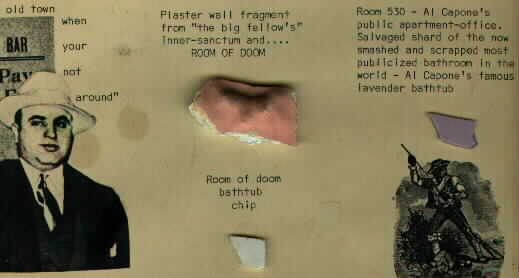 White chip from his office bathtub. Inside looking out of Al's old office. Notice the remenants of the wallpaper on the wall. Broken windows let the rain, snow and wind thus deteriorating it over the years. To the right looking out notice the Miller Golden Draft on a billboard. Kind of Ironic looking out Al's office and seeing that. Al Capone's wallpaper from his Lexington hotel office. He liked to be reminded of Florida during the cold winters of Chicago with this leafy motif. 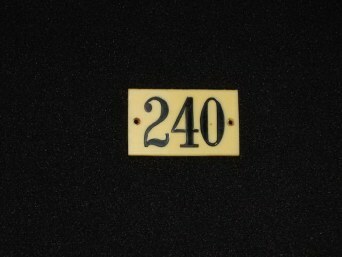 The 220 door number plaque is that from a door taken from the Lexington's second floor. A few Capone gangsters had occupied the second floor of the Lexington hotel. They were used as Al's first measure of protection. Rocco Fischetti had occupied room 230. Lexington door tag from room 240. A lighting fixture taken from Al's chandelier in his office. 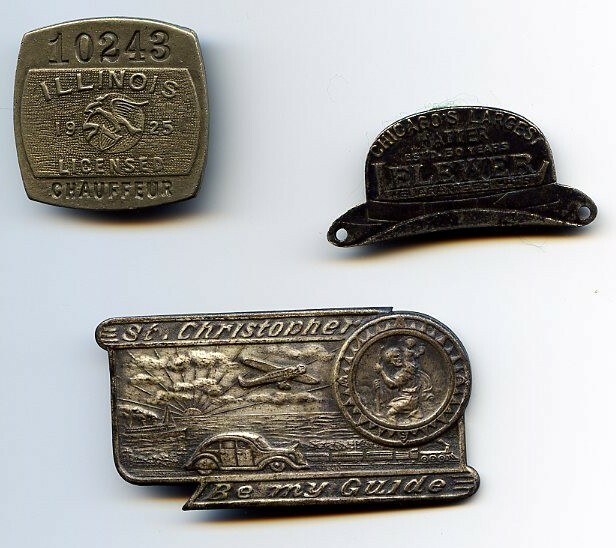 Chauffeur badge 1925, Hat maker badge and St. Christopher badge. Mechanical pencil and refill lead tube found in Lexington Hotel Lobby.